Looking for a Lipgloss + Aftershave Winter Remedy? Click here to read more! or register at MedSpaDistributors.biz to learn more! 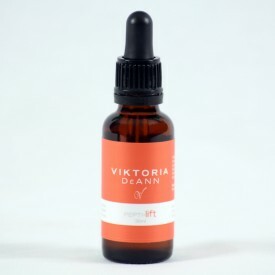 Viktoria DéAnn is a technologically based company that synthesizes, in a FDA-certified laboratory, its own unique Peptide Messengers that are administered transdermally. Optimizing the cells in growth areas of the skin (dermis and epidermis) allows for an internal re-establishment of the Natural Healthy Cell Cycle. As these supporting layers of the skin peak towards their natural operating function, the affects can be seen in the subsequent outer layers through corrective balanced exfoliation, skin health, and visible skin beauty. Peptides are natural biological messages, produced by the body, in order to communicate necessary tasks to be performed. Peptides are your body’s language and communication network. Each peptide, or message, is composed of a specific order of amino acids (the same building blocks of protein). There are many different amino acids and therefore millions of different combinations or messages that can be made out of them. It is best to think of amino acids like the English alphabet. Alone the letters (amino acids) are just letters, but once you start combining them in a specific combination, they become words, and then words become whole sentences (peptides) which can then communicate an exact message. Some of those messages can promote healthy skin through initiating collagen production or another message to relax facial muscle contracts to help soften wrinkles. This water-soluble, sulfate-free, deep penetrating foaming cleanser gently lifts make-up and impurities from the skin, without removing essential lipids required to remain healthy and hydrated. Gel Cleanser can improve the penetration of sequential treatments used in your professional’s applications as well as home usage. Incorporation of Vitamin C in Gel Cleanser helps neutralize destructive free radicals and delivers deep-pore cleansing to reveal natural smooth skin. A hypo-allergenic facial cleansing gel scientifically formulated from the purest ingredients. Neutral Gel Cleanser is a unique balance of cleansing and natural moisturizing factors which remove make-up and environmental impurities while aiding in the reestablishment of skin’s proper pH. A face-lifting serum scientifically formulated to provide peptides to restore youthful skin tension. Applied to the face, arm, or decolletage, to lift and re-establish your natural youthful appearance. Results demonstrate 5-10 years younger anti-aging. Viktoria De Ann’s answer to the costly injected ‘toxin base’ treatments — and without the pain and complications. Lift Kits include the perfect combination of targeted anti-aging peptides. In this kit you will receive a Pepti-lift and Pepti-tone which help provide the proper skin tension and tone to tighten skin back to a more youthful appearance. While Eye serum’s powerful UET-3 peptide aim to eliminate puffiness and dark circles under the eye. Finally Rejuvenator’s peptides support a proper cell turnover to bring healthy new vibrant cells to the surface and provide a totally new lifted healthy look. Remember there are three strengths of Rejuvenator in the Series (Mild, Regular, or Ultra) and each kit contains one of these options. Consult your skin care professional to advise you on which strength will be best for your skin. Formulated to signal programmed accelerated repair and restructuring of damaged skin. A multiple blend of synergistic amino acid complexes to quiet quorum signaling of bacteria. The perfect complement to your skins natural biological defenses. A precise blend of Oligo-peptide-Hp and unique chelators designed to target specific aspects of pigment control systems which help reduce dark spots and future discoloration, as well as moderate new melanin production. Targeting pigmentation at its core, this lightweight serum is free from surface bleaching agents, hypochlorites, and hydroquinone to reduce the appearance of hyperpigmentation without inflammation. Beginning approximately 6 weeks after initial application, one should notice a diminishment of central color, with a continual fading, progressing from the center and then to the edges of the blemish. 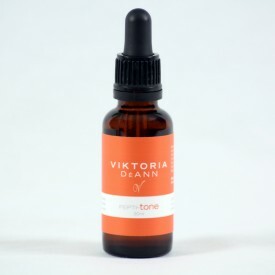 After Cleansing, apply a small amount of Serum to dry face and neck till absorbed, avoiding eye contact. Use in combination with other treatment products or move to the Moisturizing phase of your regimen. Use Morning and Evening for best results. 5% Lactic + Collagen is a combination of Lactic acid and pure Collagen. 5% Lactic Acid provides a mild, self-neutralizing peel that can be used during treatments and as a home maintenance for corrective exfoliation. Collagen provides superior hydration and is essential to healthy skin. After Cleansing, apply a small amount of Serum to dry face and neck till absorbed, avoiding eye contact and the more sensitive skin area around the eye. Allow to self-neutralize, approximately 3-5 minutes, and continue to the treatment phase of your regimen. Use once every 3 or 4 days. Pepti Pad (inducer) is the first anti-aging product formulated to re-establish the natural regeneration of the dermal cushion. Early cushion loss and skin thinning is initially apparent on the backs of hands and upper lip, and with time and aging, on forearms, legs and face. Pepti Hyaluronic is the first anti-aging product formulated to re-establish the natural regeneration of hyaluronic acid within the skin. HA is situated within the intercellular space and is necessary for the proper intercellular nutrient flux, communication and reestablishment of a youthful skin homeostasis. Elastin is the counterpart of collagen (reference PEPTI pro-col) and forms a network similar to spandex in the skin. Collagen alone is fibrous, while the combination with elastin permits elasticity in all directions. Hydrated elastin also functions in combination with desmosomes (reference PEPTI lift) to tighten the skin, and since it holds 1000x water, it moisturizes and protects the skin from environmental assaults and UV damage. Pepti Nano Mask intensely hydrates and helps transfer active peptide serums during treatment to amplify results. Each mask is produced naturally from pure microbial cellulose, unlike the thicker, coarse cotton masks. The characteristic three dimensional matrix of the bio cellulose provides an ultra-fine nano structure which adhere like a second skin, excelling the penetration of peptides and other actives. Providers: This is a fantastic mask to attach to the Clareblend Jeunesse and use during a facial! Target the visual signs of eyelash aging and improve the look of thin, sparse lashes and brows with the active PEPTI-lash-XL serum. Active Oligo-peptide LSH-XL provides support, conditioning, and nutrients to help lashes appear longer, fuller, and more luxurious. Studies show that clients saw improvement in the appearance of fullness and length of their lashes after six weeks of use. Unlike other lash and brow products, there is no evidence of a change in eye color, eyelid darkening, or irritation. A smooth, rich lotion that provides immediate and long-lasting hydration. The therapeutic properties of whole-leaf organic Aloe Vera and Vitamin E help to protect the skin from damaging free radicals and environmental assaults. Day Moisturizer assists in restoring the skin, waking up to a fresher and healthier appearance. Collagen Gel is a delicately textured hydrating gel providing a unique blend of natural water-soluble Collagen for visibly tighter skin. Leaving the skin refreshed and revitalized, while reducing the appearance of pore size and epidermal surface texture, Collagen Gel is pure indulgence. Rejuvenator is formulated in three strengths to accommodate various levels of skin health. When beginning the Rejuvenator treatment one should always start with the Mild strength due to the highly active RNF-1 peptide and move up only when directed by your skin care professional. Rejuvenator series is fortified with a powerful restorative RNF-1 peptide; providing professionals with an exceptional product amplifying the client’s or patients visible results. Our RNF-1 peptide is scientifically designed to initiate cellular responses of repair and regeneration, targeting growth layers of the skin.